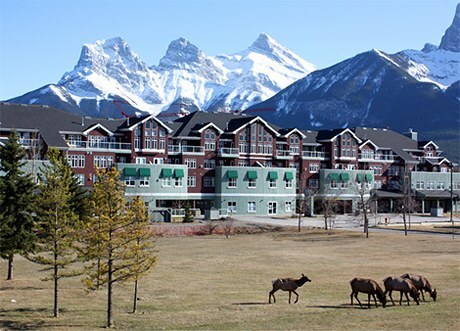 Good news for agents with investor clients in western Canada: the vacancy rate in Canmore, Alta., has dropped to zero per cent. “The stability of the national vacancy rate is due to supply and demand factors,” explained Bruno Duhamel, manager of economic and housing analysis for the Canada Mortgage and Housing Corporation, in the spring Rental Market Survey, released today. Indeed, as an influx of young adults flock west, looking for employment in Alberta’s industry-heavy job environment, the availability of affordable rental properties plummets. Canmore’s strong housing market has further driven down the vacancy rate for rental units, largely in part to people taking advantage of the strong market and selling one-off rental units. Mark Walker, the owner of Peka Professional Property Management, told CBC News that many condo owners who had previously been renting out their units because of the slow housing market, are now able to sell their units, adding to the pool of people looking for rental properties. Investors, meanwhile, have been taking advantage of the demand. Average rental price for a two-bedroom unit has increased nearly 10 per cent over last year, to $1,046 per month. The report found vacancy rates to be the lowest in Canmore, though Edmonton and Calgary each reported 1.4 per cent vacancy, and Kelowna had just 1.5 per cent vacancy. Moncton, Saint John and Charlottetown reported the highest vacancy rates, at 10.7 per cent, 10 per cent and 8.7 per cent, respectively.